The three companies of Shen Yun Performing Arts, the New York, International and Touring Companies, have graced the stage in multiple US cities in February with over 20 performances. They have performed in Evansville, Indiana; Birmingham, Alabama; Cleveland, Ohio; Detroit and Grand Rapids, Michigan; Minneapolis, Minnesota; St. Louis, Missouri; and New Orleans, Louisiana. The fourth Shen Yun company has been touring Asia. Chinese historic myths and legends are brought to life by Shen Yun through Chinese classical dance and music. Audiences sense the energy and spirituality of the performances and recall their connections to ancient Chinese civilization and divinity. 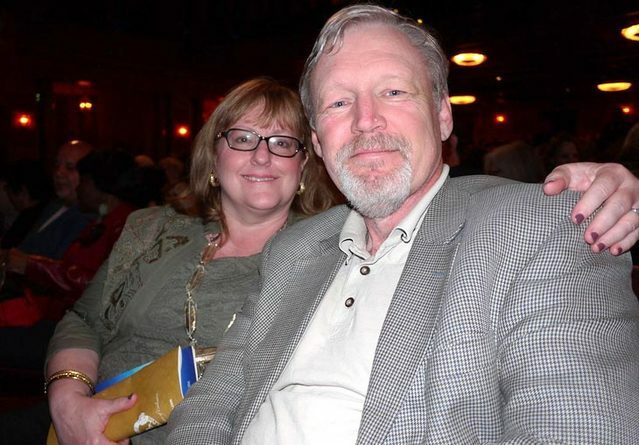 Arthur Galbraith, a retired cancer research scientist formerly with the University of Minnesota, saw Shen Yun for the third time on February 15 at the Orpheum Theatre in Minneapolis. He said, “I would pay almost any amount of money to see it. If you come back, we will be in the front row again. “It's so incredibly creative. It's done so beautifully, the music, the dance, the moves, the symmetry, the synchronicity of the movement is just unsurpassed. In a way, dance is a universal medium. So this is dance and music combined into a universal language. It doesn't get any better than that,” Mr. Galbraith added. The spiritual message in Shen Yun resonated deeply with Mr. Galbraith: “It has an incredible spiritual message, something that goes beyond just traditional religion. It's cosmic. It deals with the cosmic purpose of why we are all here, why we are down in the earth plane, what we go through. There's beauty everywhere. Ultimately we come back, we reincarnate, we learn and gain wisdom, then we return where we came from. Ms. Francavilla, who has spent the past decade working for CBS News as a national correspondent and field producer, also owns Frankly Speaking Communications where she provides training in communication. She has been a producer for Oprah Winfrey and worked for Agence France Presse. 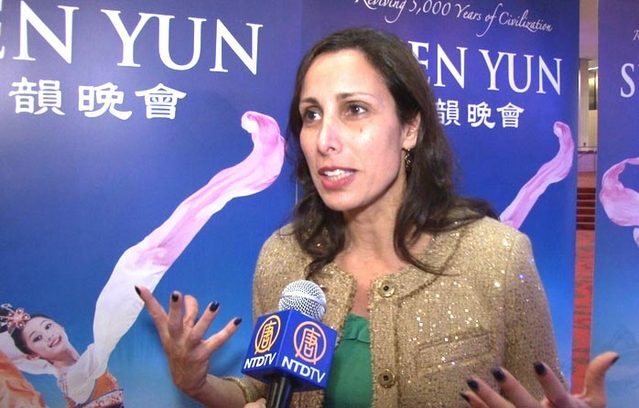 Ms. Francavilla was glad Shen Yun portrays the values underlying traditional Chinese civilization. She said she did not experience spirituality in contemporary China. “When I was in China, there were no churches, there were no … we saw some people in the park doing Tai Chi, that was it. There was no sense of spirituality, and that did not feel normal or healthy. In fact, it even felt a little evil to me,” said Ms. Francavilla. As a reporter and world traveller, Ms. Francavilla thought Shen Yun could open people’s eyes to the way people lived in China. “This show can actually open the eyes of many people in the South who have never been, as I have, overseas to Asia, and I think it’s a wonderful effort,” she said, recalling difficulties she encountered in China. She also found the performance purely entertaining. “Well, I think the stories are charming, I have been a former dancer and I really enjoyed the dancing because I know how difficult that is … the show is full of energy, beautiful costumes and the dancers are fantastic and really entertaining,” Ms. Francavilla said. 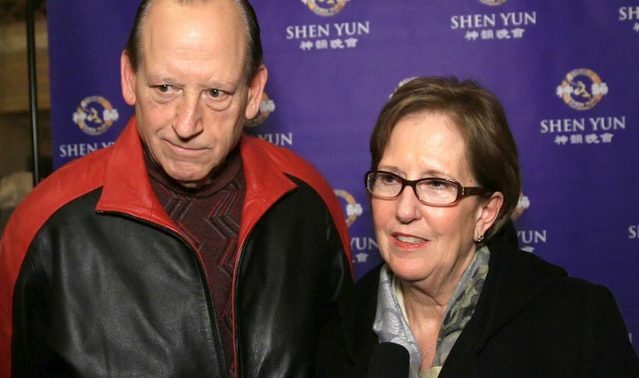 Mrs. Barbara Rossman and her husband came to the February 9 performance of Shen Yun Performing Arts at the Detroit Opera House. Mrs. Rossman, the President and CEO of Henry Ford Macomb Hospital was impressed from the start with Shen Yun’s performance. “This afternoon’s show was beautiful. It really gave us a great impression of culture, the beauty and style, the precision [of the Chinese culture]. Mrs. Rossman was saddened by the fact that Shen Yun and its “spirituality and sense of history” cannot be seen in China today. Shen Yun Performing Arts’ portrayal of China’s ancient culture and values resonated with Brenda Morgan on a deep level after she saw the performance at the Detroit Opera House on February 8. “I’m stunned with the beauty of the combination of the dance, with new media in the background, with the costume designs, with the unique music—all of it—making a combination of something I haven’t seen before,” she said. Ms. Morgan has a doctorate in counselling and rehabilitation and runs retreats at Grass Lake Sanctuary in Ann Arbor, which she founded. During the past 15 years she has also served as a meditation teacher and mentor. Ms. Morgan said there were times during the performance when she was moved to tears. “At times I would tear up because [the performance showed that] life is more than what you see in front of you and the sharing of the sense that we are all one and that we have various journeys here, sometimes confusing, sometimes fine. It’s touching and I hope it helps humanity to come together more as one. It’s beautiful,” she said. “[Spirituality is] what my life’s about, so it’s wondrous, wondrous, and they were able to transmit it through the things that they were doing and the sets and the music. The music was highly touching and that’s all original work from what I was seeing. It’s beautiful.” She added. Mrs. Danby attended the performance with her husband, Charles, who bought tickets as both a birthday and Valentine’s present for her. 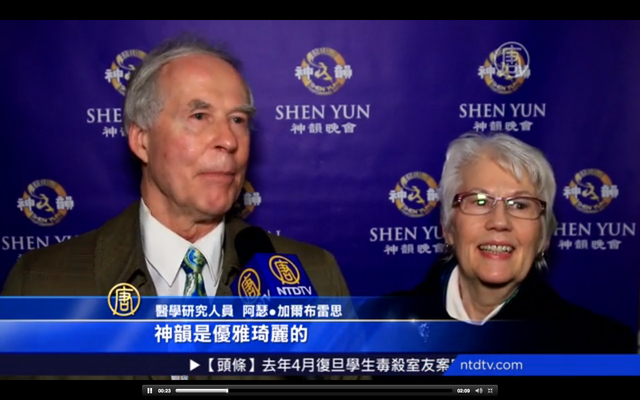 The couple saw Shen Yun at the DeVos Performance Hall in Grand Rapids, Michigan, on February 12. “It is a fantastic experience in a culture that I don’t know that much about,” said Mrs. Danby, who is a retired teacher and speech pathologist. “It’s fantastic! The colour, the movement, the expression of the culture—it’s beautiful!” said Mr. Danby, who once owned a business that marketed products to the automotive industry and currently sits on the board of a non-profit organization. “It’s a phenomenal program,” Mrs. Danby added.